'Sachin: A Billion Dream' creates a record just like the master blaster himself. It is the first ever docu-drama to cross 50 million. Released on May 26, the docu-drama completes three weeks at the Box Office, creating a new record. 'Sachin: A Billion Dream', which featured videos from master blaster's personal collection, was dubbed in Marathi, English, Tamil, and Telugu. When producer Ravi Bhagchandka was asked about this, he said, " Lots of industry experts were skeptical because of the new genre we were tapping into and how it has never worked in India. But because we had the vision of portraying Sachin's story in a very pure perspective and from his vision, we stuck to it revealing his story through this genre. And we are very happy it paid off and it's become the highest grossing docudrama in the world. 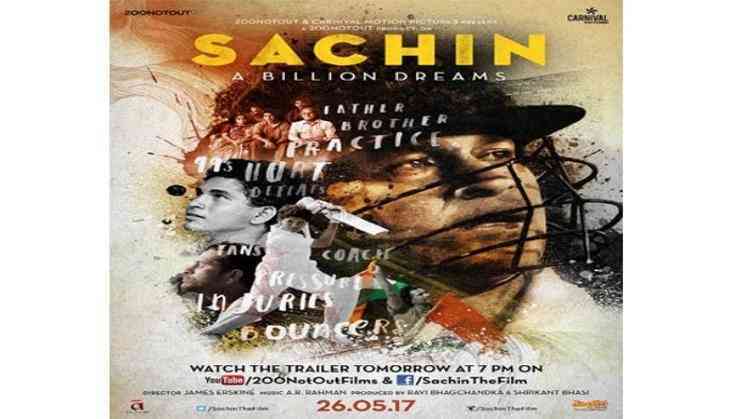 We are obviously happy and also overwhelmed with the response the movie has got in terms of creatives and content of the movie and how this has fulfilled the vision of keeping Sachin's legacy on for years and years to come." The James Erskine directed film was exempted from tax in Maharashtra, Goa, Delhi, Orissa, Kerala and Chhattisgarh.